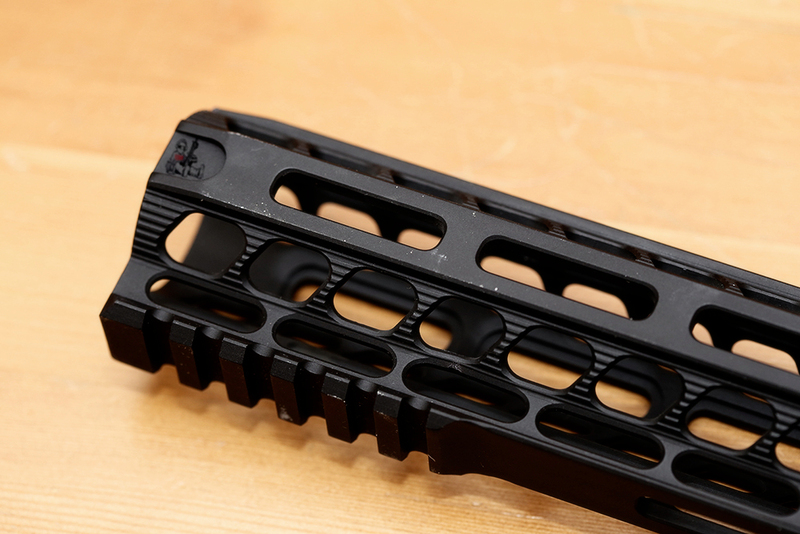 You may know from this post that I owned an SLR Rifleworks adjustable gas block and their 9.25" MLOK Ultralight rail, which I had on an Aero SBR. From the above photo you could probably see that the screw from the gas block and the rail section are pretty close together. Well I had about a thousand or so rounds through the gun with this setup and decided to replace it with a different rail and gas block, specifically because the accuracy I was getting was not was I was expecting to get from this setup. (Which was 3-5 inches at 25 yards with an magnified RDS - just unacceptable) I removed the gas block and rail and found contact points. 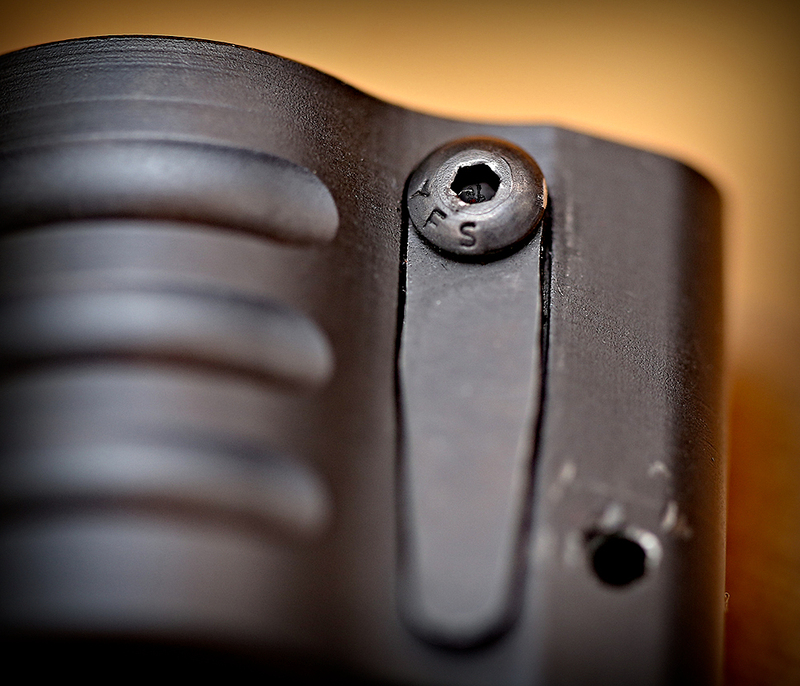 In the above photo you can see the same screw have a polished area (sign of metal on metal contact) at the top of the screw. Right next to it you can see there to be a line right next to the area of where the screw was. 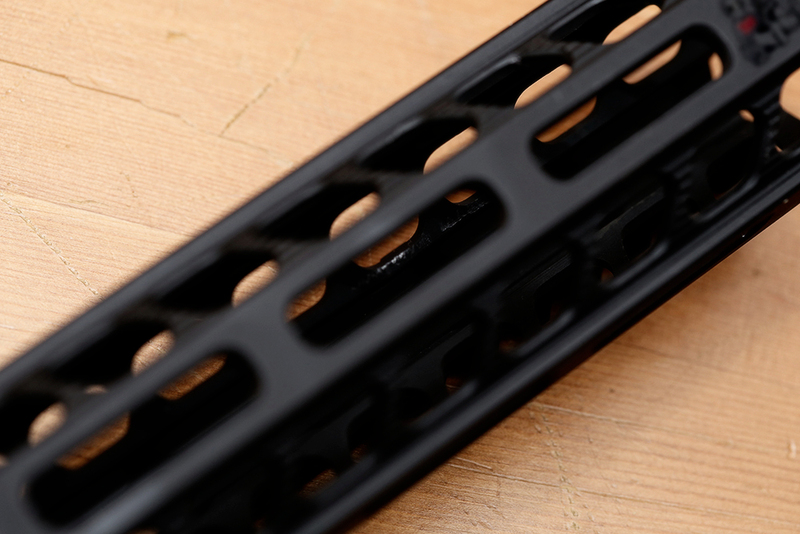 The above is a photo of the inside of the SLR rail section. You can see the polished area (sign of metal on metal contact) inside the rail. Both of these areas of damage were caused by the rail hitting the gas block. From the outside you can see on the fourth middle section of the gas tube channel on the rail have a slight amount of wear from the contact as well. When I contacted SLR Rifleworks to report this, as it is their rail and their gas block, which should be completely compatible with each other, I got a response that was slightly confusing. First I was told that the barrel has to be perfectly straight or else this may occur. Then I was told I could return it if I was not happy with it. Awesome! That is what I wanted to do as I was not happy with its performance. I asked if the items were going to be replaced or if I was going to be refunded. The response was that either I could get a side screw that is a different shape or I could send the whole upper and they could install it for me. None of which is an outcome that would solve the issue at hand. As I always do, I post what I experience, no filter. 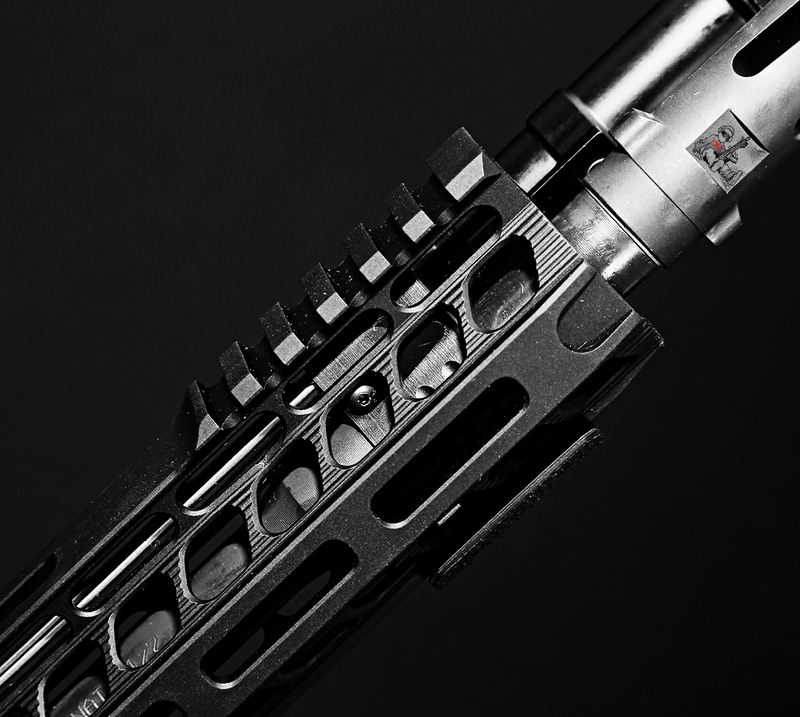 If you are looking to get an SLR rail, please make sure you have a gas block which will work with their rail systems. You will need a very micro gas block to fit under the rail. I originally had a Daniel Defense low profile gas block on the barrel when I attempted to install this rail and it did not fit. I figured their own gas blocks would work best, that was not the case however.